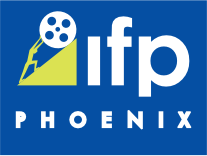 In celebration of “Won’t You Be My Neighbor?” (4/4 stars), the wonderful and sentimental Fred Rogers documentary, this is the second week of the Phoenix Film Festival’s three-part series to recognize nice films. Moviegoers will easily remember some of the listed films, but other pictures may have slipped by many radar screens. Whether large, well-known productions or small, foreign indies, all of these movies are certainly nice…but also special. “Before Sunrise” (1995) – Real-life romance rarely – if ever - materializes like it does in movies. How many couples find true love before crashing into an iceberg in the North Atlantic or lock eyes and sense love at first sight on the observation deck of The Empire State Building? Well, director Richard Linklater’s landmark film embraces the chance encounter and delivers an organic and rhythmical story of Jesse (Ethan Hawke) and Celine (Julie Delpy) through the (sometimes imperfect) art of conversation. These early 20-somethings – who meet on a train from Budapest to Paris – share stirring and occasional clumsy moments that can transpire when meeting someone for the first time, but the actors and characters share beautiful, warm chemistry that feels authentic and possible. The film’s ending is the most deliberated scene and with good reason, but Jesse and Celine’s story does not conclude here, because two sequels followed: “Before Sunset” (2004) and “Before Midnight” (2013). Make sure to see this one first. 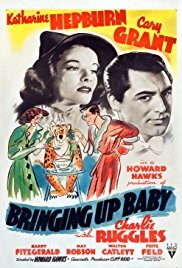 “Bringing Up Baby” (1938) – Dr. David Huxley (Cary Grant) works hard at the Stuyvesant Museum of Natural History. He only needs one more bone – an intercostal clavicle – to complete an enormous brontosaurus skeleton, and if Huxley can convince Mr. Peabody to donate one million dollars, he’ll assuredly have the resources to complete his work. Hey, the good doctor is also getting married over the weekend, so he is really close to having it all! Seems easy enough, but Susan Vance (Katharine Hepburn) enters his life and turns it all upside-down. Grant and Hepburn perform at the peak of their powers in a hilarious treasure that is certainly not a model for courtship, as David repeatedly cannot decipher Susan’s twisty verbal and non-verbal cues. There is, however, a method to her madness. Oh, who is Baby? A leopard, naturally. “Enchanted” (2007) – Amy Adams is perfectly cast as Giselle, a woman about to marry Prince Edward (James Marsden) in the animated world of Andalasia, which is marinated in figurative rainbows and lollipops, but she stumbles into “a place where there are no happily ever afters.” In other words, New York City. The picture mainly resides in the live-action world of The Big Apple, but Giselle still keeps her naïveté and sweet disposition, as this Walt Disney production constantly parodies its own animated princess formulas (see also “Snow White and the Seven Dwarfs” (1937), “Cinderella” (1950), “The Little Mermaid” (1989), etc.). Adams shines brightly as a sugary, likable altruist and leads several numbers that are sure to bring a smiles to even the most steadfast curmudgeons. Speaking of which, the Academy nominated three “Enchanted” songs for Best Original Song. Three! This critic is partial to “That’s How You Know”. “O’Horten” (2007) – In the middle of a snowy winter in Oslo, Odd (Baard Owe), a train engineer, turns 67 and reluctantly faces his impending retirement. A quiet loner, he’d prefer zero fanfare, but his coworkers plan an honorary dinner. After he steps down, Odd runs into a series of odd circumstances that depart from his normal routines, ones that he has safely enjoyed for decades. In this delightful comedy/drama, writer/director Bent Hamer presents a 90-minute feast of eccentric visuals and soft, caring moments with an unlikely hero placed front and center. Although Odd keeps a very light social calendar and ensures that long-winded discussions are as rare as a Norwegian heatwave, he has plenty to say and offer. Throughout the picture, he keeps most of these thoughts inside, but this makes his rare actions so memorable. “Once” (2007) – Writer/director John Carney shoots his no-frills musical in dimly-lit rooms and on bustling Dublin sidewalks, while the audience follows a friendship and possible romance between Guy (Glen Hansard) and Girl (Marketa Irglova). Guy suffers from a broken heart, and he can be often found crying out his songs on Grafton Street – including a stunning opening track “Say It To Me Now” - as a form of therapy…and to earn some bucks. He’s a bit lost, but Girl might possess the right map, as they both support each other through the connection of music. This film launched Hansard’s and Irglova’s international musical careers, and their duet “Falling Slowly” won the Best Original Song Oscar! Yea, there’s a great chance that you will fall quickly for this magical film. “Searching for Sugar Man” (2012) – Director Malik Bendjelloul’s film about folk singer Sixto Rodriguez won the Best Documentary Oscar in February 2013, and this critic thought “Searching for Sugar Man” was the best film – feature or doc – of 2012. Who is Sixto Rodriguez? He made two albums in 1970 and 1971, respectively, but this talented singer-songwriter’s career didn’t take off in the U.S. It did, however, explode somewhere else, as Rodriguez’s story dives into emotional and truly incredible spaces. Accompanied by many of the man’s songs – with catchy hooks and evocative lyrics about bad luck, far-off speculation and broken relationships – this 86-minute movie will constantly surprise. After the film, you might just run out and buy Rodriguez’s studio albums “Cold Fact” (1970) and “Coming From Reality” (1971). If so, you’ll be glad that you did. “The Bridges of Madison County” (1995) – “This kind of certainty comes but just once in a lifetime,” Robert Kincaid (Clint Eastwood) says to Francesca Johnson (Meryl Streep). For Robert, he’s speaking of true love, and Eastwood also directs the film adaption of Robert James Waller’s romantic novel. While Francesca’s husband and children head to the Illinois State Fair for a number of days, she meets Robert, a National Geographic photographer, who is snapping pictures of bridges in the local area. It’s not a spoiler to say that the two have a love affair, and even though their relationship is adulterous, it is a gentle and warm one. One in which a caring housewife and a kind bachelor fall in love. Streep was rightfully nominated for a Best Actress Oscar, but Eastwood surprises with a soft-spoken, heartfelt performance. Bring your tissues. “The Muppet Christmas Carol” (1992) – Sure, about 1,000,006 versions of “A Christmas Carol” have been made over the years, but not like this. Director Brian Henson – in his feature-film debut – spins the classic Charles Dickens’s tale…Muppet-style. Michael Caine plays Ebenezer Scrooge, and this legendary actor is pitted face-to-face with the Ghosts of Christmas Past, Present and Future, along with his old business partners Jacob and Robert Marley, played by those cranky Muppet Theatre balcony patrons Waldorf and Statler. 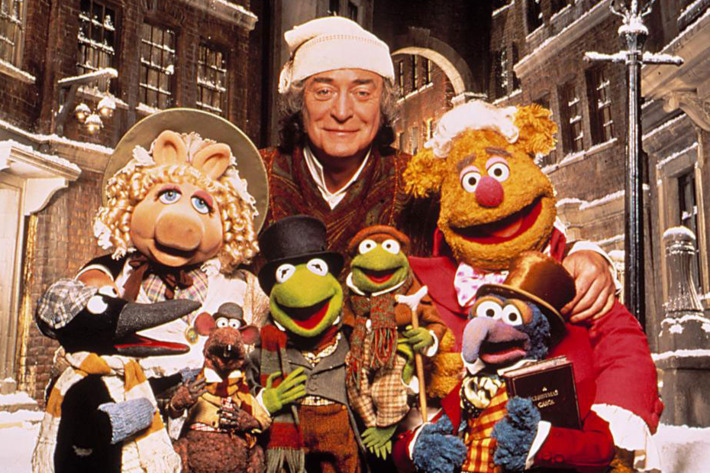 Much of the fun is discovering which Muppets will portray the specific “A Christmas Carol” characters, and this creation serves as a wonderful introduction for young children to the famous holiday story. Quite frankly, adults will enjoy it even more. 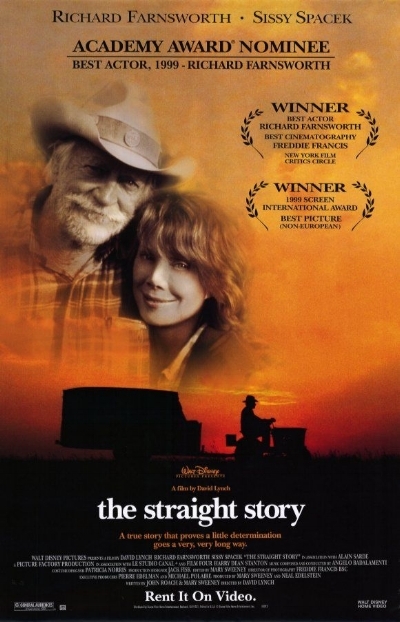 “The Straight Story” (1999) – Director David Lynch’s film – based on a true story of an elderly man traveling from Iowa to Wisconsin on a John Deere lawn mower - doesn’t feel like one of his typical films. Not untypical for Lynch, “The Straight Story” earned high critical praise. Richard Farnsworth’s performance as Alvin Straight earned him a Best Actor Oscar nomination in a poignant story about growing older, making sense of one’s life and attempting to fix a specific broken relationship. Most of the time, Alvin would rather leave these topics unexplored, but he opens up while on the road. Although the movie is a slow-moving voyage on midwestern roads, Lynch and his crew keep the audience engaged by filling the picture with rich characters, soulful music and images of the heartland in a movie that feels uniquely American. Farnsworth overseas it all with his magical presence and frequent revelations that feel like both he and his character are speaking from their hearts. 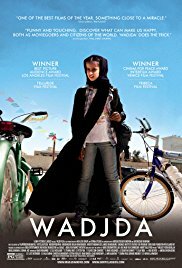 “Wadjda” (2012) – In Saudi Arabia, women are not allowed to drive, and apparently, girls are not allowed to ride bikes. Don’t tell that to Wadjda (Waad Mohammed). This 12-year-old girl is happy to question – like a preteen-Gloria Steinem – societal laws and rules assigned to women and is determined to own and ride a bike. Writer/director Haifaa Al-Mansour must be determined as well, because she is the first Saudi woman to direct a feature-length film! Her highly refreshing movie does play some familiar beats, but the wonder of this unfamiliar land constantly raises our interest. All the while, Al-Monsour’s picture offers hope, joy, life lessons, and the pursuit of a dream: riding a sparkling green bike, when everyone says that it cannot and should not be attempted.